Ana Lizbeth Aburto Salgado was attending a top school in Nicaragua when her family told her they could no longer support her. Because of a $713 Vittana Loan, Ana was able to graduate in April ’11. She nearly doubled her earning power, going from living on $5 a day to $9 a day and has already fully repaid her loan. Vittana takes the concept of microfinance to the next level. Instead of providing micro loans to help a business, they invest in a student’s potential. The company fundamentally believes that education is the best, possibly only, way to truly break the cycle of poverty. And they are proving their point. To date, more than 4,000 students in 12 developing countries have received a Vittana loan. A single Vittana loan can enable a girl to graduate from vocation school, triple her income and think beyond her home’s four walls. Of course, the effect of helping this student naturally extends to her family and community. The process to support a Vittana is super easy. You simply pick the student you want to support and choose how much you would like to lend to that student. You can read the students’ individual stories and find out what their goals are on their individual pages. Once the student graduates, you get your loan paid back. On average, Vittana students have a 99% repayment rate. You can even start or join a lending team to make a bigger impact. The teams that raise the most money each month earn credit to fund even more students. Did I mention 100% of the money actually goes to the student? This all sounds good, right? Well, now that it’s back to school time, there’s an even better way to support Vittana students while you shop. 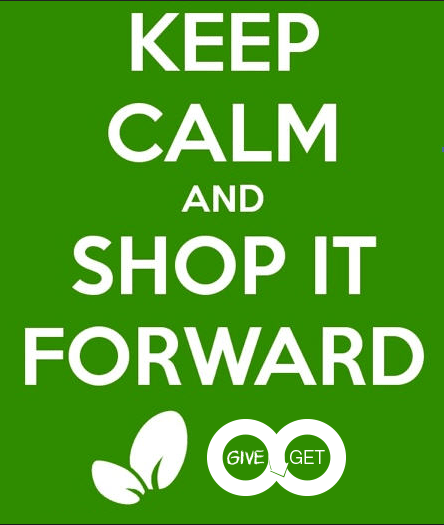 That’s because Vittana recently partnered with OO.com for a “Back to School, Shop it Forward” campaign. OO.com allows users to earn points for buying products through affiliated retailers like Wal-Mart, Nordstrom and Cooking.com. They are the shopping site of Next Jump, a previous Philanthropy Friday featured company. The points you earn are converted into donations to various non-profit organizations, including Vittana. The neat thing is that by going through OO.com, you also have access to some pretty cool deals. In order for Vittana students to get supported through OO.com, visit OO.com and click “support” for Vittana. You’ll need to sign in, but the account is free and it takes no time. You can also sign up through Facebook.